Travelling can be so easy. Travelling by Swiss public transport is comfortable and convenient. It may seem complicated at first sight: buying tickets, changing transportation, finding connections, not forgetting the luggage or missing the right stop. But fortunately, all of this is wonderfully easy in Switzerland. 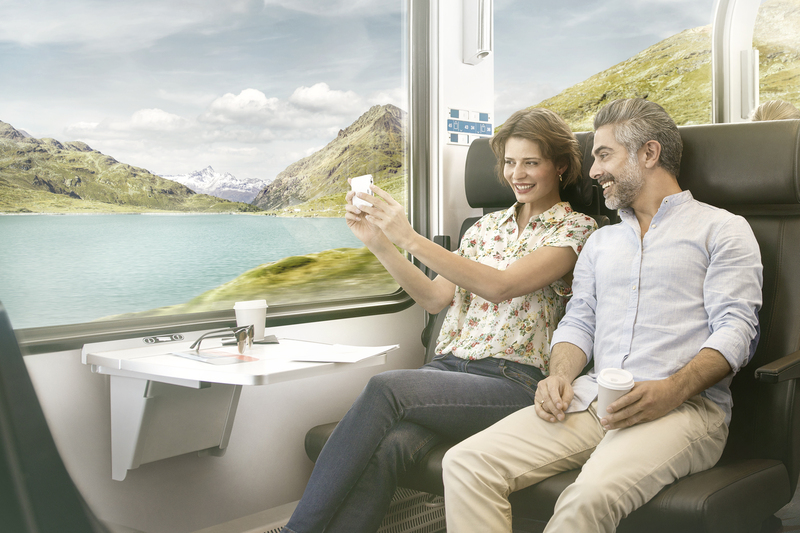 Train, bus, boat and mountain railways take travellers wherever they please – comfortably and to the minute. That’s because in Switzerland all public means of transportation are perfectly synchronised. Thanks to onboard restaurants, catering to the seat and luggage services, guests enjoy a carefree journey. Travelling by public transport in Switzerland is not only easy but also diverse, even spectacular. Panoramic trains take passengers on a ride through pristine nature, past impressive glaciers and through deep ravines. 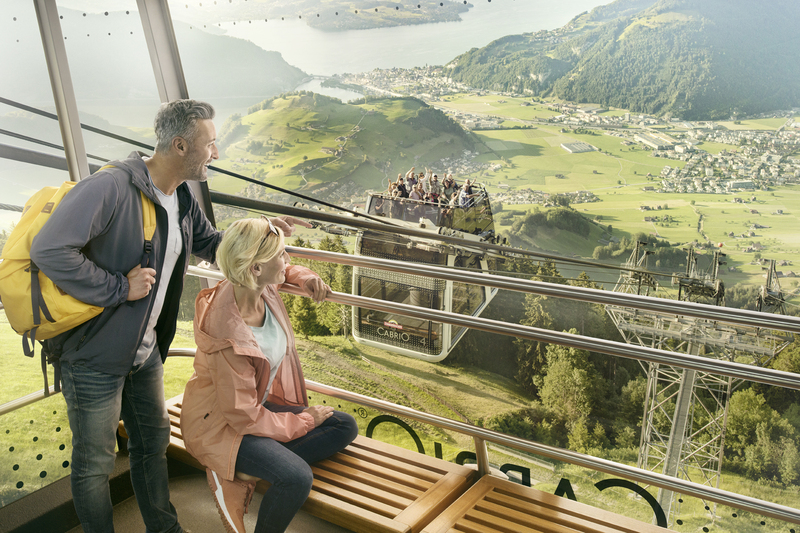 Those who look for even more exceptional experiences dine in the panoramic cabin of a cableway called the “restaurant in the sky” or take a ride on the world’s steepest cog railway. That’s how easy travelling can be. You don’t believe it? Ask the locals. You’ll meet them all over train, bus and boat in Switzerland. Here are 5 reasons why Switzerland is best explored by train, bus and boat. Travelling can be so beautiful. Sitting, enjoying, marvelling: Through ceiling-high windows, majestic mountains and crystal clear lakes seem to be within one’s reach. 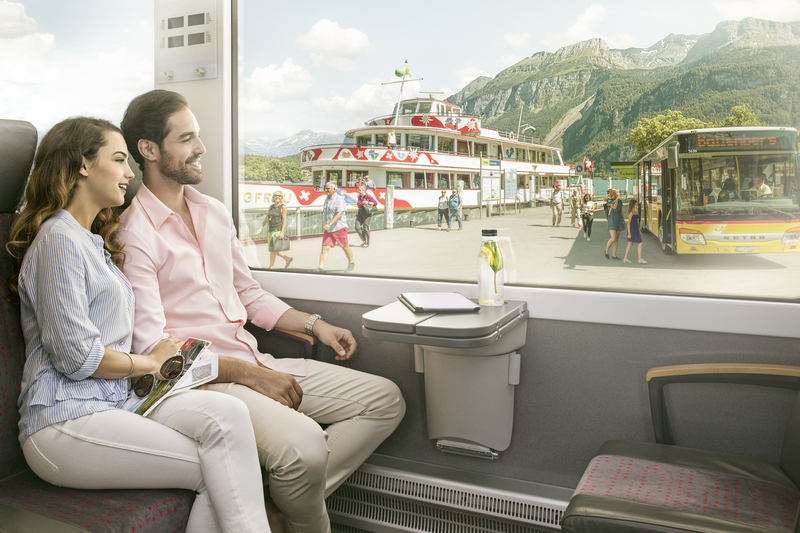 Discovering Switzerland’s unique scenery from the panoramic train – “Wow moments“ are guaranteed. Travelling can be so comfortable. 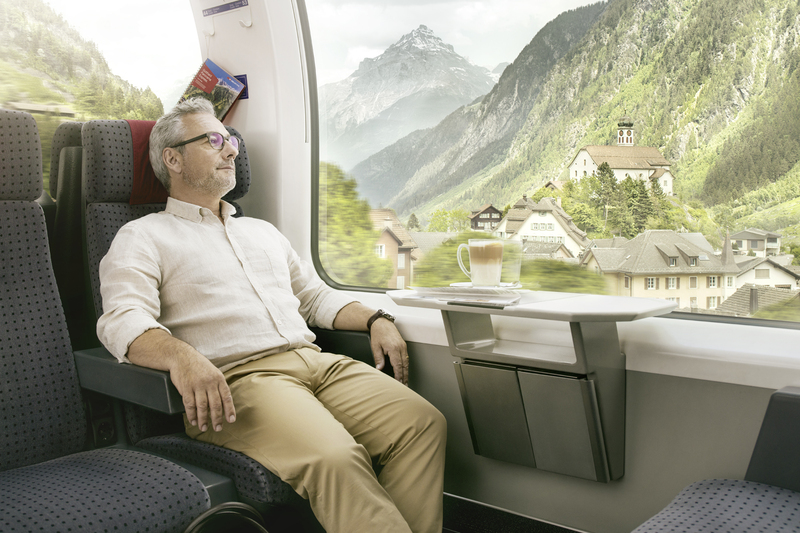 Leaning back and relaxing: Swiss railways delight with comfortable seats, delicious culinary specialities and convenient luggage services. No wonder guests arrive wonderfully rested. Travelling can be so simple. Changing transportation is wonderfully easy in Switzerland. That’s because train, bus, boat and mountain railway are perfectly coordinated. Always according to the motto: arriving, changing transportation, travelling on – wherever the journey may go. Travelling can be so authentic. The Swiss know why they choose train, bus and boat: This is where quality merges with reliability. So, whoever wishes to experience Switzerland at its most authentic should do as the locals do. Travelling can be so diverse. From the nostalgic cog railway to the modern cableway – in the blink of an eye. 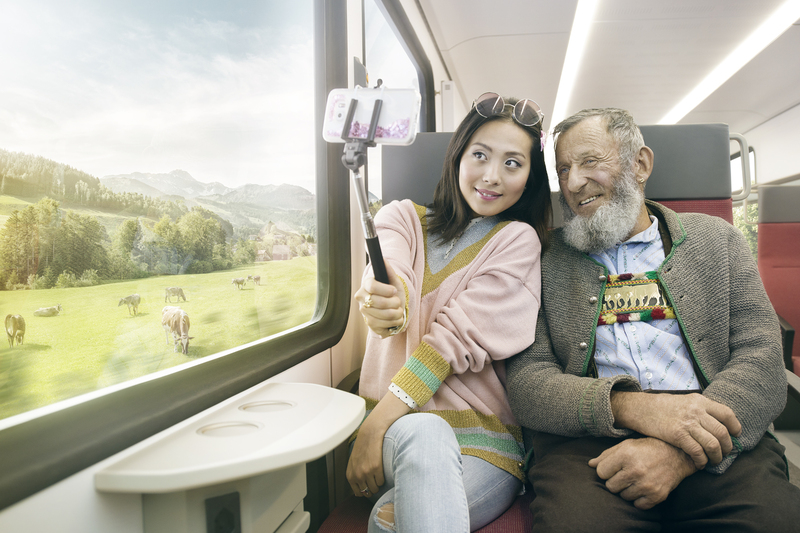 Travelling through Switzerland by public transport means pure diversity. See the Swiss Travel System in action.